JungleWatch: THE REDEMPTORIS MATER SEMINARY IS A SHAM! THE REDEMPTORIS MATER SEMINARY IS A SHAM! Dear Cardinal Filoni, the Catholics of Guam are not stupid! Fr. Patrick Garcia (Yigo) just died. Pray for the repose of his sole. His entire body died, not just his "sole." You're attempt at humor is off color! May Fr. Garcia's SOUL rest in peace! We the people of Guam are too familiar with what is available to us on our island. Take our hospitals for example. Most ill patients to this day are sent off island for further treatment due to the lack of resources, equipment, and expertise etc... Archbishop Apuron. What were you thinking of when you decided to open up RMS with the lack of staff to run a seminary . You've should've had an idea since then, since you too seek medical attention off island. RMS is not for Guam? It's not worth having the faithfuls go against faithfuls and all other commotions that has led to division. We are not cheap? We are God's people. Therefore we seek the best, qualified and true priest. So true, 9:14 PM. The people of Guam deserves priests with sound education, thus while we lack valuable resources to provide quality formation, local vocations are sent off-island. Apuron was tantalized by the glitter of gold and the glory of having a seminary, that he lost track of what was more important. He is an egocentric fool who got easily conned by NCW vultures. Hell, Apuron does not care for the good of the Church at all! He makes statements to so-called "vindicate his name" but his missteps further lead us to more lawsuits. What disrespect to Archbishop Hon who was sent by the Holy See to officially fix Apuron's stupid projects. Of course he wants the Archdiocese to pay for the defense and compensations. What a heartless fool! He has bankrupted spuritually and materially the Church he says he loves. Balderdash!!! - Apurun has totally sold the Catholic Churches on to the Devil! My God is Not Sleeping and He is seeing how the True Katolikus are suffering. We Should Over Come This One Day and that Day is Coming! Thank you, Andrew Camacho for this piece and to the committee who prepared the research. Frenchie also posted a series on this subject a couple of weeks ago. All are informative and it warms my heart that work has been done to really look into the seminary program on Guam. These findings will help you work on your next courses of action as they relate to the (fake) seminaries. I called Fr. Bryan Dolejsi the director of vocations for the Archdiocese of Seattle. I asked him about the education and training of priests in our Archdiocese’s vocation program. Instead of writing about our discussion, the process is better explained in the vocation office’s website. I copied an excerpt which you can read below. 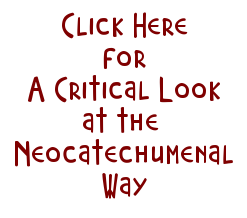 This is the link to that page (copy and paste it on your browser and you’ll be able to read more) http://seattlevocations.com/priesthood/seminary. I mentioned in one of my comments from a couple of weeks ago that we had two seminaries here from the 1930s to 1976. When the vocation population dropped in the 1970s and the seminaries were not financially sustaining themselves, the Archdiocese sold the property and the seminary facilities. The Archdiocese sold part of the property to the State of Washington where it is now a public park and to Bastyr University (a holistic medical school). Since then our seminarians attend school in seminaries in Wisconsin, Maryland, and California. Below is how long it takes to become a priest. 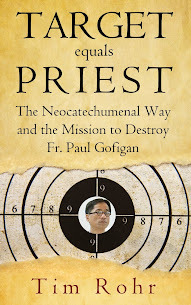 “Many people want to know how long it takes to become a priest. This depends on when and where one starts. A young man who enters college seminary immediately or shortly after high school will spend the traditional four years there, getting a sound foundation in philosophy and the other liberal arts, then move on to the theological seminary (called a theologate) for four more years of specialized study in Scripture, Theology, Church History and related fields. He would spend a total of eight years in the seminary after high school, comparable to law school, M.B.A. or medical school. is the chancery SHAM, rms yona or that we have a 2nd seminary in Malojloj?? Opposite to and unrelated to the story of the RMS as a sham, I write with pride for Guam and her native son --- Fr. Kyle Manglona --- whose family is from Yona. He is the first ever (!!!) Chamorro ordained as a priest in the Archdiocese of Seattle. He was ordained early this summer after 4 years of college at Mt. Angel Seminary in Oregon followed by another 4 years of formation at the Pontifical College of North America in Rome --- a total of 8 years of schooling to be a priest (unlike schooling at the RMS, another proof that the RMS is a sham). My personal photos from his ordination are not so good so I’ve attached this link to the Seattle Archdiocese’s website for photos of his ordination http://www.stjames-cathedral.org/Events/2016/album-ordinations.aspx. A couple of things to note on the photos. First is the colorful draping above the sanctuary in orange, yellow, red are symbolic of fire of the Holy Spirit present at this celebration. Then the second-to-the-last photo has three bishops. Seattle has our Archbishop Sartain, Auxiliary Bishop Alonzo, and retired Archbishop Brunette, archbishop bishop emeritus (seated on his wheel chair). There was a write-up about Fr. Kyle in the Umatuna and in case you missed it, here is the link to that article. http://www.stjames-cathedral.org/Events/2016/album-ordinations.aspx. While there are current difficulties with the seminaries situation on Guam, even with that, Guam still sent one of her native sons to serve the Lord and the Faithful of the Pacific Northwest. 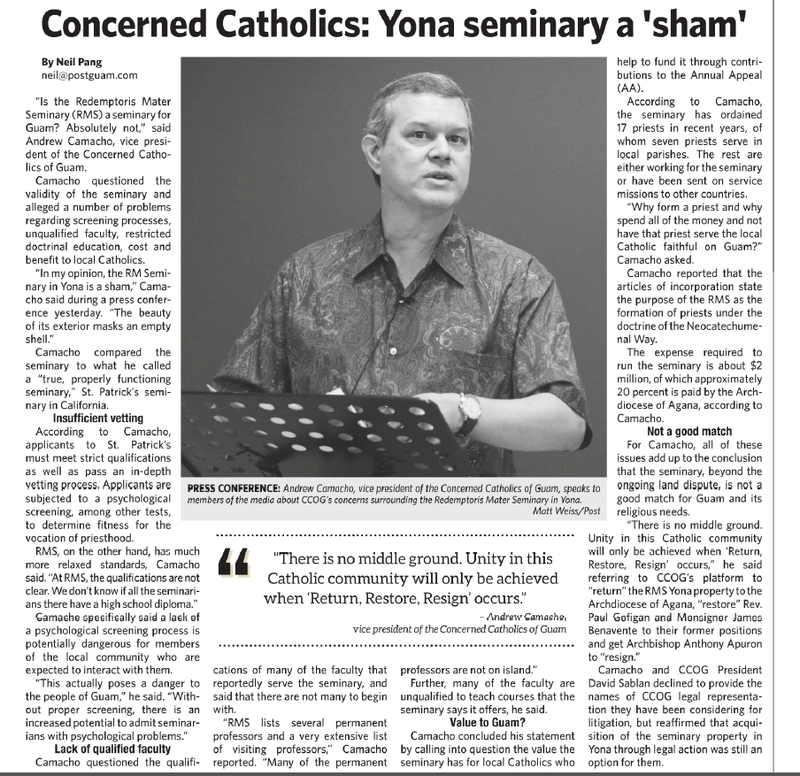 Catholics on Guam ought to be proud !!! And we are grateful for that gift on this part of the world! Biba Guam! Biba Fr. Kyle! Thank you, Andrew Camacho for this piece and to the rest of the committee who did the research for this presentation. Frenchie also posted a series on this subject a couple of weeks ago. All are informative and it warms my heart that work has been done to really look into the seminary program on Guam. These findings will help you work on your next courses of action as they relate to the (fake) seminaries. Our of curiosity I called Fr. Byan Dolejsi the director of vocations for the Archdiocese of Seattle. I asked him about the education and training of priests in our Seattle Archdiocese vocation program. Instead of writing about our discussion, the process is better explained in the vocation office’s website, but I copied an excerpt of that information from the website which you see below. This is the link to that page (copy and paste it on your browser and you’ll be able to read the entire website http://seattlevocations.com/priesthood/seminary.) I mentioned in one of my comments from a couple of weeks ago that we had two seminaries in Seattle from the 1930s to 1976 until the vocation population dropped and the seminaries were not financially sustaining themselves. The Archdiocese sold part of the property to the State of Washington where it is now a public park and to Bastyr University (a holistic medical school). Since then our seminarians attend school in seminaries in Wisconsin, Illinois, Oregon, Maryland, California, and Rome. Below is how long it takes to become a priest according to the Seattle Archdiocese vocation program website. Bottomline: 6 to 10 years of schooling and formation when already in the program. The RMS program can’t possibly thoroughly prepare seminarians in the short time frame spelled out in their educational program.